Summer is in full swing and for our family that means camping! We love camping- the fire, sleeping in the woods, s’mores, no electronics. It’s a nice way to get back to nature and spend some quality family time together. We have slowly acquired and upgraded our camping gear over the years and definitely have our favorites. While the initial investment in camping gear can be a bit pricey, once you have the gear, camping is an inexpensive weekend away. Pack food, bug spray, sunblock, and pick up lots of ice and you are on your way. It’s also much cheaper than staying at a hotel. Most campgrounds overnight fees tend to range from $5-20, but that’s not bad when compared to hotel prices. We tend to try to stay at National Parks. We get an annual pass every year and a lot of the parks even give a discount on the camping rate if you have one. 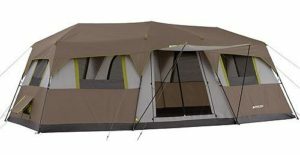 A tent. 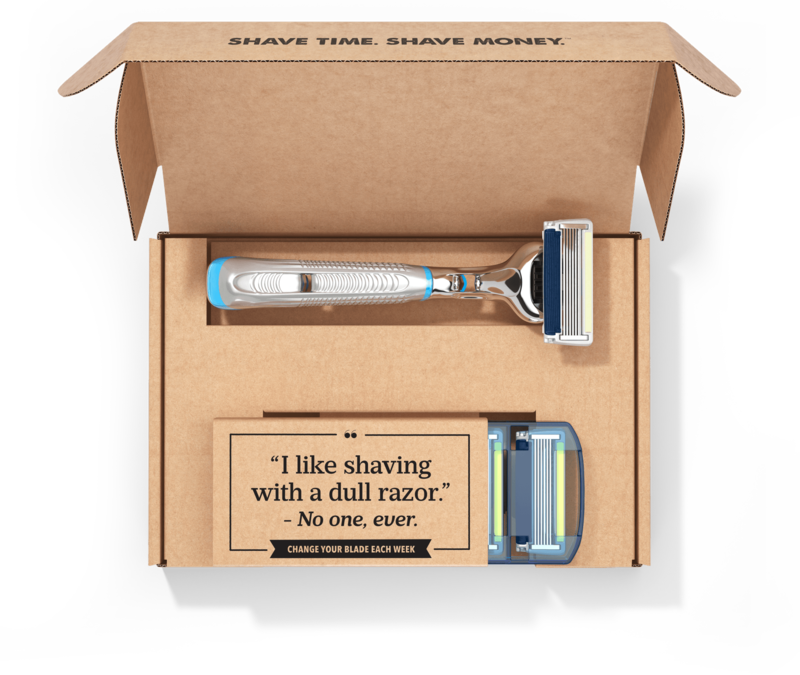 The size depends partially on the size of your family, but we use this one and love it! (Just always be sure it is on level ground. If it’s not, it has a tendency to cave in when it rains from the tension rods not being in the right place.) When we bought it and I read the “set up in 2 minutes” I did not believe it for a second. Anyone who’s ever put up a tent probably wouldn’t! But it really was so simple to set up. Just unroll, pull up the poles and snap in place. Take down was just as easy! Tarps. We try to have at least 2-3 on hand. These things are so versatile and can be a lifesaver in unexpected rain. If the campground is a bit muddy you can put one under the tent. A lot of sun and need shade? Using just a few basic supplies you can secure one up to provide some relief from the sun (or rain). Here’s a pretty simple set of directions, in case you need some. Portable Grill. You could also do a camp stove and open fire, either way works. 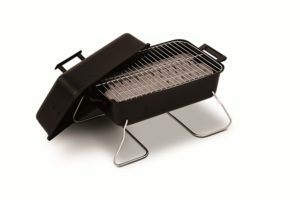 We happen to like our portable grill because we can cook directly on the grates or put a cast iron pan or griddle on it and cook in one of those. It makes it easier to maintain a steady temperature and doesn’t kill your back bending over trying to cook over a fire pit. We actually have this one, but it has been discontinued, so when we are ready to buy a new one, we’ve been looking at this one. It’s smaller and easier to move around. We have had ours for about 7 years and it’s still holding out though. Tote bins. I cannot express how much I love these things. They snap closed, stack well, and keep water/rain out. I am convinced you could throw these things around and they will just keep on holding tight. When you are camping in bear country you really want something to hold your food that seals well and food smells are not wafting away attracting them or critters you do not want to invite into your campsite. If you camp at an established site in bear country, there are usually bear lockers to store your food containers in for added precaution, but you can’t always be sure of access to one. We usually do two of these, one for non-refrigerated food and one for other kitchen/food prep stuff-cutting board, knife, plates and cutlery, spatulas, table cover, etc. Sleeping bags. 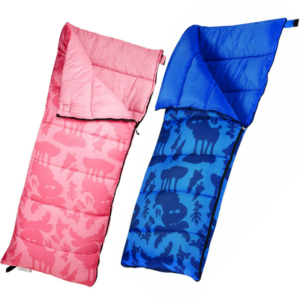 An obvious one, but what is camping without sleeping in a sleeping bag, especially for kids. Cap’n C and Miss S have simple kids sleeping bags along the lines of this and this, but the husband and I have simple no-frills like this. Honestly though, they usually get used like blankets, because neither of us likes to feel confined inside them. Plus, I move around too much. If you are camping in cold weather or up in the mountains where temperatures drop low at night, it really is a good idea to invest in a well-insulated, cold weather sleeping bag. Make sure to check the temperature ratings. No one likes hypothermia. We pretty much always bring along extra blankets, just in case. Air mattresses. Now, this one is definitely a personal preference. We like them. We have a pretty good size tent (see above) that divides into 3 rooms. In one side we put 2 twins for the kids, in the other side 1 raised-queen for us, then we still have the middle room for the tote with kitchen supplies, and the tuff box with other camping gear. Tuff box. We have about a dozen or so of these things from my husband’s years in the Army and even with all his military gear, we still have extras. We usually use 1 to hold all the miscellaneous camping gear that always goes with us. 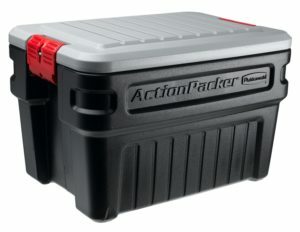 This one stays packed in between camping trips with lanterns, axe, extra tent stakes, tarps, flashlights, chem-lights (glow sticks), bug spray, sunblock, baby wipes, small propane tanks for the grill and lanterns, etc. All the random stuff you know you need every time and don’t use in between. I know not everyone has military tuff boxes lying around, but a good alternative is a this bigger version of the tote bins. Things to do. While camping in and of itself can be enjoyable and relaxing, it is still a good idea to have some planned activities when camping with kids. We like to bring a deck of cards and a board game to play as a family in the evening, but during the day, I like the kids to enjoy being outdoors and away from screens. 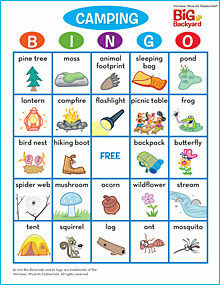 I usually bring along a couple Camping Bingo sheets or Summer Campout Scavenger Hunt with bingo dotters, a set of kids paint and paintbrushes for painting rocks, at least one book, and some glue so they can build something creative out of sticks and things they find in nature. Camping is a great opportunity for their imaginations to run wild in a way that they can’t in a backyard (unless your backyard is the woods). 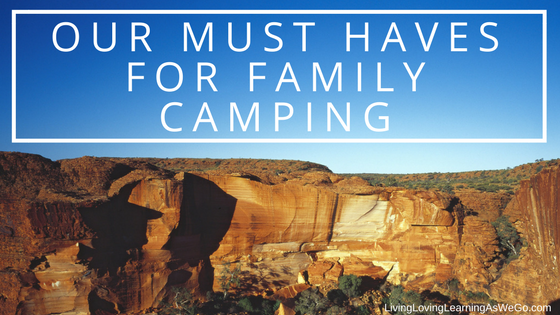 So now I want to know, what are your must haves for camping? What is a basic essential you just can’t go without? What indulgence do you need to live outdoors for days? Your timing is perfect Paul. I’ve just finished my forest schools training and having been slowly building up my kit. 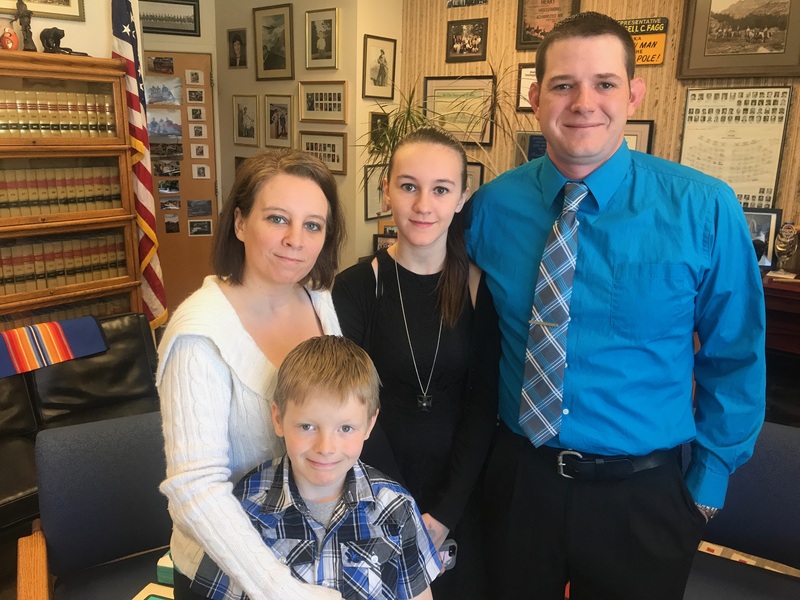 Great article, providing a lot of help. Thanks! I am totally agree your recommendation. 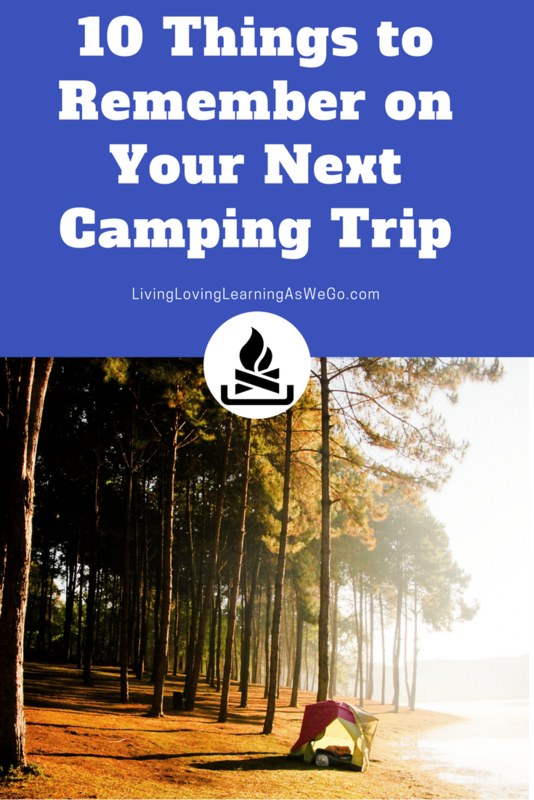 You have shared a valuable points of list for any camping. Thanks a lot for your nice share! Ruth recently posted…Best Kayak For Kids in 2018 – Which Is Fit for Your Young One? Hi Melissa, Great article. Tote bins are a great idea. I will add them to my camping gear for my next trip. Cheers.